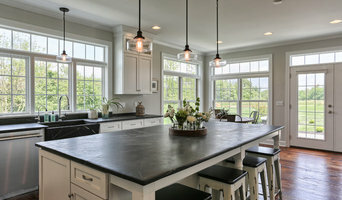 Rockwell Custom, LP, provides design and construction services to homeowners and investors alike in connection with new custom homes, renovations and additions throughout the Main Line and beyond. Rockwell Custom, whose principals have over 20 years combined experience in the custom home building industry, has earned a solid reputation for integrity, dependability, leadership and value – due in large part to their unwavering attention to detail and constant pursuit of customer satisfaction. At Rockwell Custom, we pride ourselves not only for designing and building homes but also in building and nurturing long lasting relationships with our customers. Rockwell Custom is routinely selected as the builder of choice by customers who wish to construct their dream home at their dream location and by customers who wish to recreate their existing homes in a location that is already perfect. If you are considering building a custom home or remodeling, you are about to start on a unique experience that will have a vast impact on how you live your life. Your dream home is a place that will reflect who you are, where you’ve been, and what you treasure the most. At Rockwell Custom, we will be there with you, as a team, through every step to bring your vision to life. Wilkinson Homes goes beyond merely delivering a beautifully finished product, they redefine the very essence of the home buying experience. Wilkinson structures model homes as “Idea Centers” and provides complete election/customization centers where buyers can receive assistance from on-staff design consultants as they choose the details that will set their home apart from the rest. Wilkinson Homes provides an unparalleled level of service, support and communication that makes the process of buying a Wilkinson home one of ease, confidence and comfort. Wilkinson Homes has the strength and diversity to creatively meet today’s most challenging and innovative trends as well as the wisdom and experience to make the process a rewarding one for all involved. New home buyers extol this creative approach, affirming that this valuable process makes them feel as though their home is our highest priority. Experience the quality that is integral to every Wilkinson home. Discover why hundreds of satisfied homeowners recommend Wilkinson Homes to their family and friends. MaGrann Construction invites you to enter and experience true beauty and craftsmanship. Whether you are building a custom home or recreating your existing home, MaGrann Construction will take you through the process, allowing you to express your personality and lifestyle in a unique way. Our Design Architects will prepare home plans based on your concepts and budget. With the latest building technology, along with a commitment to energy efficiency, we’ll help you select quality materials and components that are beautiful, durable and cost-effective. MaGrann Construction has earned a reputation for building and renovating distinctive, energy efficient homes in the South Jersey Region for 30 years, refining our team management concepts, and providing our clients with the superior customer service they deserve. Scott Porter began his career in 1998, bringing his passion for architectural design and craftsmanship to life in the renovation of many historic properties throughout Wilmington and Greenville Delaware. Personal attention to detail, commitment to quality and architectural expertise are the cornerstones of Porter Construction. Janiczek Homes has developed a reputation for architectural detail and design skill, providing top-quality craftsmanship, superior project management, and customer service. Janiczek Homes offers the full spectrum of homebuilding needs, from smaller scale renovations to large-scale additions and new home construction. Regardless of scope, Janiczek Homes can fulfill your homebuilding needs. At Janiczek Homes we have a commitment to responsible building techniques and implement sustainable green practices in our construction and renovation projects. Custom home builder Philadelphia Main Line and surrounding suburbs in Chester, Delaware and Montgomery Counties. For Chesapeake City residential home builders who also act as developers, the job starts well before the first nail is driven. They perform local market research to determine whether the prospective homesites make sense in the Chesapeake City, MD market, as well as survey the land on which the house will be built to make sure it is suitable for construction. Custom builders also obtain the necessary permits. A good custom home builder in Chesapeake City, MD has skills that go far beyond construction — he or she must supervise subcontractors and artisans; keep tabs on local zoning regulations, building codes and other legalities; inspect work for problems along the way; and perform dozens of other roles that are essential in building a quality house. Here are some related professionals and vendors to complement the work of home builders: Interior Designers & Decorators, Landscape Architects & Landscape Designers, Architects & Building Designers, Kitchen & Bath Designers, Specialty Contractors. House builders are responsible for ensuring that the home-building project sticks as closely as possible to the specified timetable, particularly in the event of change orders. 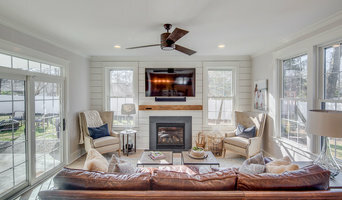 Custom and luxury home builders in Chesapeake City, MD also need interpersonal skills to deal with clients of all types, soothe frazzled nerves, negotiate conflicts and resolve problems. 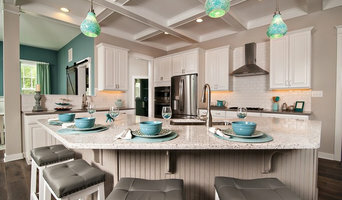 Find custom home builders in Chesapeake City, MD on Houzz. Narrow your search in the Professionals section of the website to Chesapeake City, MD home builders. You can also look through Chesapeake City, MD photos to find a house you like, then contact the builder who worked on it.